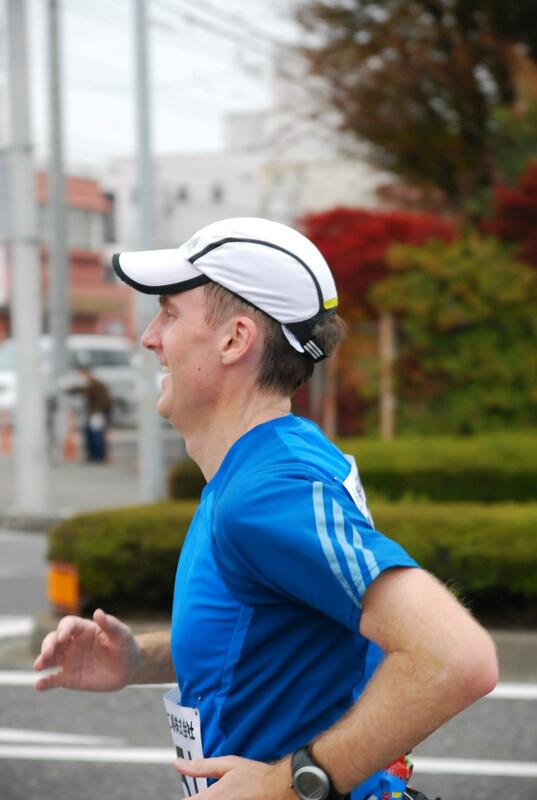 This is my project to run a 3 hours 10 minute marathon on 23rd November (2013) (2014) (2015) (2016) (2017) (2018) 2019 in Ohtawara, Tochigi Ken, Japan. Week 13 was rather tough as I had a sore foot at the end of week 12 and several real life events impacting on my training. I was only able to run 3 times, but 2 of these were key workouts and should be of benefit. At the end of the week the soreness in my foot seems to have gotten better and I hope to have 5 good runs next week. Tuesday I had a real life event after work so I missed my run but I was happy to wake up with a HRV of 89. I think that using the Sleep Cycle app helps me wake up easily with our a sudden start. As you can see from the Actual Times that I ran, I did OK at the start but struggled on the 400m in the second half. Harrisson said that I ran the first part too fast and he had a point. For the 1,400m I ran 5:27 instead of 5:43 and for the 3,400m I ran 14:34 instead of 15:18. It is hard to tell how these differences impact latter intervals but I can only assume that there is some impact. I ran all the intervals without any pain in my foot, but as soon as I stopped and started to warm down my left foot got sore again. I did my usual trick of taking off my shoe and sock and massaging my foot but it had no affect. I was left with no choice but to walk home slowly and hope that it would get better by my next run. Bob Dylan – My all time hero. Seriously! Thursday was my annual health check so I could not drink alcohol on Wednesday or eat after 9pm. This is always a good thing and I wish I could do it everyday. I don’t really. I enjoy drinking and eating everyday. However, I do enjoy waking with a clear head in the morning after not drinking. Not being able to eat breakfast, not so much. I will say that Starbucks at 9:45 after the health check, has the greatest food in the whole wide world. Mainly because I can reach it in 3 and a half minutes. Obviously the results of the blood tests will take some time to come out but I am the same height, and more or less the same weight, as I was this time last year and my sight seems to have not deteriorated. So Yeah! Thursday evening I had a real life event so I could not run. Even if I could run I needed to rest my foot. I was delighted to find out during the event that Bob Dylan had won the Nobel prize for literature from the BBC notification on my phone. I was really shocked as I did not even know he was in the running. Despite what many people have said, I believe that it was well deserved, although I am biased, and I enjoyed reading all the nostalgic articles online. On Friday I went out to test my right foot for the first time since Wednesday. My boss from the UK was in town and he was keen on getting in a run while he was in Tokyo so we ran from Tamachi up to Hibiya and back. It was a very pleasant evening and I had no adverse impact on foot so I consider it a success. Saturday I was driving up to Nikko in Tochigi Prefecture so there would be no running. Although the changing of the colors had not started in earnest we had a good day viewing the waterfalls, going for a walk in the woods, visiting Toshogu shrine and eating tofu for lunch. Although there was a bit of driving, it was a great day. Sunday was the big run of the week. After missing so many runs during the week, I needed to make Sunday count. Harrisson had put a very complicated workout on the schedule and I had no choice but to write it on my hand least I forgot it. This week, substantially more time spent at Goal pace, we’re getting into serious business. I think that you can see what I mean. There was no rain but I had sweated a little and by the end, the instructions were illegible. As you can see below, things were going fairly OK until I hit the last 6km which was supposed to be run at 4:30 pace. I couldn’t do it. I pushed the 1km at 4:00 pace as hard as I could and after that I needed to take a break before I got back to 4:30 pace. It took a lot longer than I expected and when I got there, I could not sustain it. I tried and tried but my pace kept slipping and by the end I was running at 4:50 pace. My legs were just too tired. Hopefully they will be better next week. The good news is that my foot did not hurt me and I was able to run home pain free. I want to get back to 5 runs next week and up to 80km. The second week of our holiday was a little bit more easy paced and I was able to fit in a few more runs. Nothing too long, or over an hour, but it was still great to keep on track. On Monday morning I woke up in beautiful Danang. While the rest of the family were catching up on their sleep I slipped out and ran an easy 8km on China Beach. Well I say easy, but it is never easy running on a beach. It is however, extremely enjoyable. The rest of the day I spent doing some laps in the pool and some strength training on the beach. And drinking frozen daiquiris. On Tuesday I got up a bit earlier and did the same run on China Beach but in the opposite. It was another glorious day in paradise. On Wednesday I got up at 6am, my earliest yet, as I had to do some hard intervals before it got too hot or before the streets got too crowded. I need not have worried. Although the streets were crowded at 6:30am there was nobody on the long footpaths except the landscapers. The plan that Harrisson had sent over on Sunday evening called for 3min @ 3:45, 45s rest, 90s @ 3:45, 3min active rest. Repeat 3 more times. This was going to be my hardest session yet. I managed to kept near pace for the first 2 intervals but after that it just got very hard and my pace slipped and slipped. I think that a combination of no breakfast, heat and all the curbs I had go down and up finally wore me out. Still I was happy to complete a hard run outside in the middle of my holiday. I spent the rest of the day in the pool and really enjoyed it. Thursday we got up at 5am to make our 9am flight to Hanoi. Everything went to plan and we were set up in our new hotel at 11am. We then had lunch in the hotel and spent the afternoon wandering around the old quarter of Hanoi and visited the Hanoi Hilton. It was quite special. No running. On Friday we had a 12 hour day trip to Ha Long Bay. It was a wonderful trip but it meant that I could not run for the second day in a row. Saturday was our last day in Vietnam and at 2pm we were flying back to Tokyo. I got up at 6am with the notion of doing the hard intervals around the lake near out hotel, Ho Hoan Kiem. Once I got out the door, I realised that that was not going to be possible. The place was full of people. There was a full scale market going on the side streets around our hotel and the lakeside was filled with people doing Tai Chi and walking. At a nearby square there was a group of 100 women dancing the maccerena. I decided that there was no point in crashing into people and settled for an easy and pleasant run for one hour. On Sunday I woke up in Tokyo for the first time in almost 2 weeks. I was glad to see that my weight had only increased by 1.5kg during the time that I was away. This was to quickly change over the next few days. I had a bunch of things to do in the morning and afternoon in order to get ready to go back to work on Monday and it was nearly 7pm when I got out to do my run. This was to be the third time for me to do the repetitions with the isometric shut and I finally did it correctly and boy did it hurt. The plan is to do 1min @ 3:30 pace or faster, 30s rest, 90s bodyweight isometric (static hold) squat, 1min @ 3:30 pace or faster, 3min rest. Repeat 3 more times.Trying to get up and run at a 3:30 pace after squatting for 90 seconds is nothing short of agony and it got harder and harder to get to pace. In the last rep I got there just before the 60 seconds were up. This week was the start of my holiday to Vietnam so it impacted my training a lot and will impact my blog as well. Today was a rest day and I went to Esforta Sports in Shibuya and swam 1,100m and did some strength training. View from Hotel Room – Saigon River. We were flying to Ho Chi Minh City on Tuesday night so I got out early and did my Hard Repetitions. The plan was to do 2 sets of 6 x 90s @ 3:45 pace with 30s rest between reps and 3min super duper easy jogging between the two sets. However, being first thing in the morning and with no breakfast, I found it very hard to keep the pace. I still was very happy to complete them before leaving. Ben Thanh Market. If they don’t got it, you don’t need it. We got into HCM at 10pm on Tuesday night and made it to our hotel shortly after 11pm. So it was quite late when we got to bed and my HRV and RHR showed the results. We spent the day wandering around Ben Thanh Market and Dong Khoi street and had a great time. No running. By RHR and HRV recovered a bit and we went on a small tour of the Reunification Place and the War Remnants Museum. No running. RHR and HRV were still holding up well and we went on a trip to the Floating Market on the Mekong Delta. When we came home I went to the hotel gym and did some hard intervals on the treadmill for 50 mins. The plan was to do 1min @ 3:30 pace or faster, 30s rest, 90s bodyweight isometric (static hold) squat, 1min @ 3:30 pace or faster, 3min rest. Repeat 3 more times. Unfortunately there was somebody on the good treadmill when I got there and the treadmill I had only went up 16km/hr or 3:45 pace. I did the intervals anyway but I did not get the isometric squat right. That would take a few more tries. On Saturday morning we went to see the Cu Chi Tunnels near Ho Chi Minh City. It was a half day tour and when we came back to the hotel we took a rest and then went back out to explore the city for the last time. That evening I went back to the gym and did the same Hard Repetitions again, but this time on the good treadmill and I was able to set the speed to 17.1km. I was able to keep the pace but I still got the squats all wrong. On Sunday was flew from Ho Chi Minh City to Danang and stayed at a nice beachside hotel. I did some laps in the pool but no running.